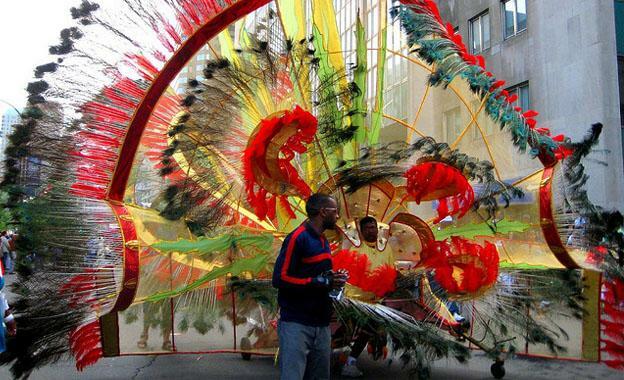 Caribbean festivals celebrate the joy of life in the islands. It seems that there’s always one going on at one port of call or another when you travel the Caribbean. In fact, you’ll be able to spend most of the year island hopping and following the path of one particular festival all over the region — but more on that at the end of this piece. Let’s start with some of the smaller fun-filled festivals. Kingston, Jamaica is the place to be on the 4th of July for the Portland Jerk Festival. Jerk is the mixture of spices used to season and flavor chicken, pork, lobster, pork, sausage and any other meat you care to name throughout Jamaica and it has an ardent following that rivals any other aspect of Jamaican culture. The festival lets you sample the results of the rival mixtures that either marinate the meat or are used as a dry-rub before barbecuing. 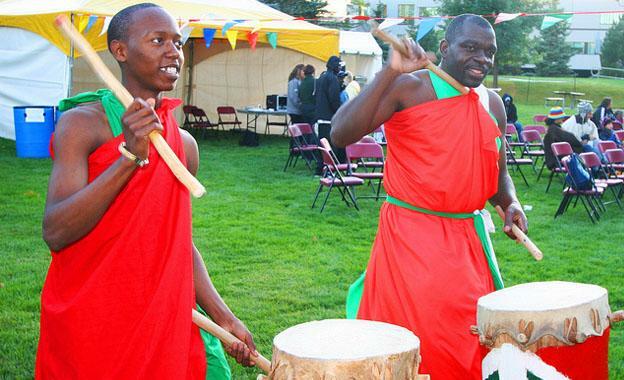 Local music and dance fill the streets, beaches and halls. And, after eating all that spicy food, you’ll need a lot of the local beer to wash it all down. Before you head to Jamaica, though, you might visit Aruba on June 24th for St. John’s Day, their annual harvest festival. To fit right in, wear the traditional festival clothing of black trousers and yellow and red shirts. Dancing, music and singing overflow the villages and towns. Be ready to join in on the rooster chant, the dera gai, as violins, drums and every other type of musical instrument available are used to provide the background to the chant. The symbol for the rooster always dominates the celebration — expect to see it everywhere. You might want to head straight to Barbados for the month-long Crop Over Festival, stretching from July 3rd through August 2nd. For centuries, Barbados had always celebrated the end of the sugar cane harvest, but the festival had gradually fallen out of public favor around the middle of the twentieth century. In the 1970s, however, Barbados decided to reinvigorate the island’s heritage by bringing back Crop Over. The festival is loud, joyous, big and exhausting — imagine partying for a month straight! There’s music and dancing all the time, of course, but you’ll also find markets and carnivals and staged dramas and folk comedies and many other cultural presentations. August 2nd, the finale of the festival, is called Grand Kadooment Day and is a blow-out full of parades, costumes and lots and lots of rum. An alternative to the Crop Over Festival on Barbados is the Tobago Heritage Festival, held each year from July 16th through August 1st. Villages all over the island of Tobago are chosen to present a day’s worth of cultural and artistic activities during the festival, including such aspects of island life as food, music, dance and folklore. You might see a pattern developing when we tell you that last day of the festival is a grand culmination of all the village productions celebrating the heritage of Tobago. Carnival has become more than the exuberant party before the somber forty-day fasting season of Lent preceding Easter. Also spelled “Carnaval” and held on every Caribbean island at very many different times throughout most of the year from January to December (September, October and November seem to be the only months without any Carnival celebrations), the festival always involve fabulous costumed parades with lots of music and dancing and competitions for parade honors — a King and Queen of Carnival are always part of the fun. Today, many of the participants may not be able to tell you the origin of Carnival, though they may be well-versed in the history of the event on their own island. Most of these island events will last the standard week to ten days, though there will be local variations.